Don't Live Under a Litter Box! Animal Feces in Your Attic Can be Hazardous to Your Health! Animal Feces in Your Attic Can be Very Hazardous to Your Health! If your home's attic has been contaminated with animal dropping and debris, you need to seriously consider removing the attic insulation and replacing it with new insulation. When the old insulation is removed, the contractor should seal up any holes that are obvious places that the animals are getting in. Additionally, over time the vents in the attic can pull in dust and allergens that settle on the insulation and get pulled into your home. There are solutions that can be implemented to mitigate these concerns. Why is this important if it is in my attic? 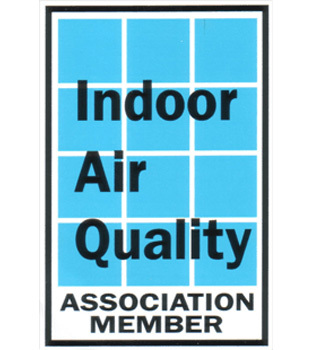 Unless your home has been professionally air sealed and duct sealed, the likelihood that you are breathing contaminated air from the attic is very likely. You may ask how this happens. It is a common question. 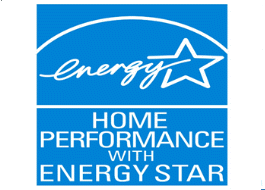 If you have ductwork that is located in the attic or a return and it has not been professionally sealed or it has been a long time since the ductwork was installed, it is not uncommon to have more than 20% leakage in these systems. This allows attic air to be pulled into the duct system and into your home. Additionally, air can come down the top plates into the walls and be pulled into the home through plumbing penetrations, and wall sockets. 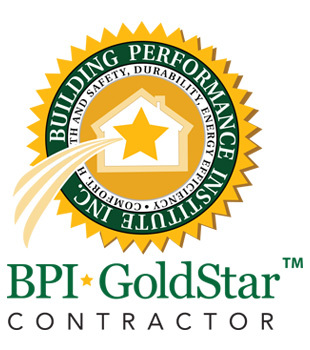 Depending upon the toxicity of the attic, it can have serious implications to health, especially in those individuals that may have compromised immune systems, the elderly, the very young, or those with respiratory issues. For anyone suffering with undiagnosed chronic illnesses, this should be explored. Nasty Insulation -- Time to Go! 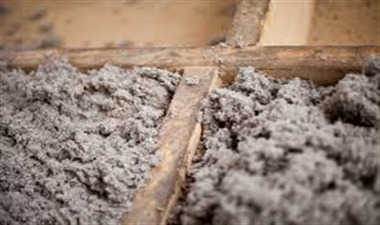 The insulation which has been in the homes during the time you have lived there (and everyone else that has owned the home before you) may have accumulated filth and toxins. If your attic insulation looks like this, not only is it not doing the job it needs to, but it needs to go. If the insulation is in good shape and hasn't been contaminated by animals, then we only recommend topping off the insulation because removing and replacing the insulation is expensive. 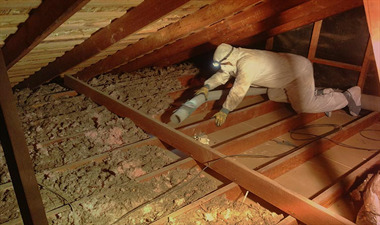 However, when the insulation is in poor shape or contaminated it is time for it to go for you and your families health!